An uncommon train set was Life-Like’s 2-in-1 Combination release from 1970. The set appears, according to research, only in the company’s 1970 and 1971 color catalogs. 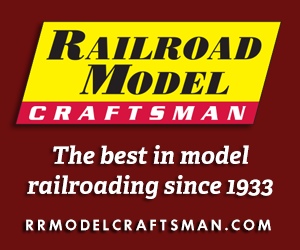 For $35, the buyer received an HO-scale electric train set with a powered F7A diesel locomotive, a pair of streamline passenger cars, a pair of freight cars, and caboose, as well as track and power pack. The set is listed with stock number #3P32 in 1970 and #T451 for 1971. The road names listed by Life-Like included Baltimore & Ohio and Santa Fe. The passenger cars provided a coach and observation that were bought lighted models. The freight cars included a two-bay open hopper with simulated plastic coal load, refrigerator car, and the center-cupola New England-style caboose.